When Sony saw success coming from the joint venture with Marvel for Spider-Man, they quickly put the wheels in motion to revamp and re-up on their own Marvel-owned properties. Venom is currently in production as we speak with some mega watt signings, including Tom Hardy as Eddie Brock, albeit in our least favorite, bio-suit version of the character. Now, Sony has decided the next step will be to bring long-time Spidey villain Morbius, to the live-action world. Not only have they decided to make it, but Burk Sharpless and Matt Sazama (Power Rangers, Dracula Untold, The Last Witch Hunter) have written a script already! For a long time, the Comics Code Authority didn’t allow supernatural characters to be used, which is silly in it’s own right. 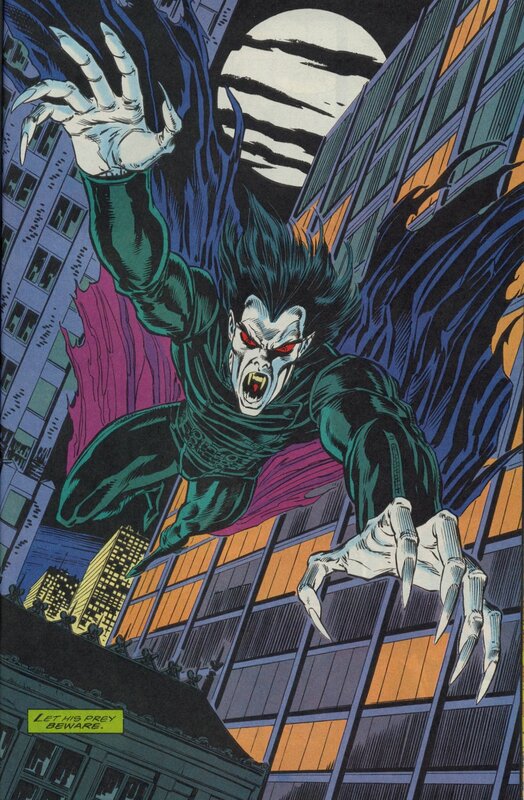 When the ban was lifted, Roy Thomas and Gil Kane created a character named Dr. Michael Morbius, who treats himself for a rare blood disease that he has, resulting in him obtaining vampire-like powers. He sustains himself by drinking blood, he’s got superhuman strength, flight, hypnotism, etc, plus none of the religious based, old school vampire weaknesses (garlic, holy water, crosses.) Although sunlight is a no-no, he just weakens in it, and he can’t shapeshift. People have been clamoring to see this character in live-action for a while, but I’ve always found him to be one of the lesser villains, especially with plenty of Sinister Six baddies I’d much rather see (Kraven? Hello!) What are your thoughts? Hit us up here or elsewhere on social media and let us know! Previous postAgents Of Shield Season 5 Promo Drops!